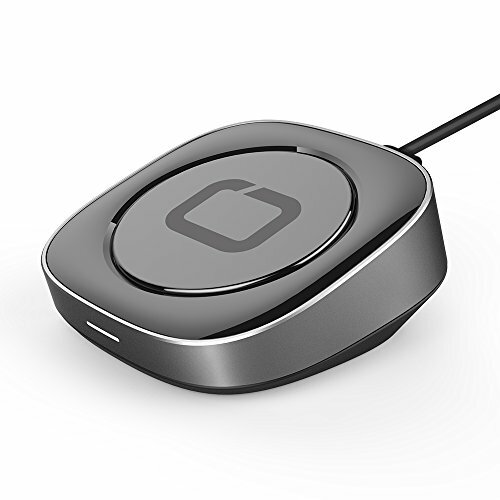 Leverage Qi Wireless Technology to deliver safe, quick-charging speeds with up to 15W of power. Wirelessly fast charging to QC 3.0 / 2.0 enabled devices, 5W charging to normal Qi enabled devices, 7.5W to iPhone 8, iPhone 8 Plus, and iPhone X. Convenient Rotatable Structure holds your mobile phone in an elevated position to a comfortable angle for viewing. Non-Slip Coating protects your phone from scratches and provides a stable surface to quickly drop and charge. Built-in overcurrent, overheating, overvoltage, and short circuit protection ensure you safe operation and charging. PLEASE NOTE this induction charger CANNOT work without a QUICK CHARGE wall adapter (not included in the package), and the product CANNOT work with the original Apple charger because it doesn\'t support QC. Hassle-free purchase under OMARS 12-month warranty.